A couple of weeks ago i installed my laptop with the new release of Fedora Linux: Fedora 12 with code name Constantine. As usual, i had to make it connected to internet. I used my AT&T USB Connect 881 modem with WvDial to connect. 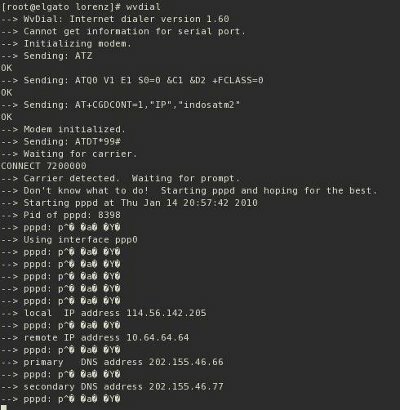 WvDial is a small linux utility that helps in making modem based connection to internet. It dials the modem and starts pppd in order to connect to internet. Run wvdialconf to generate a configuration file, /etc/wvdial.conf, that contains information about modem and ISP. 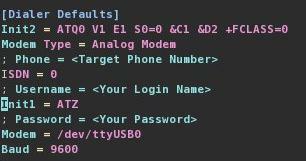 Remove the ‘;’ character from the Phone, Username, and Password line and replace the <Target Phone Number>, <Your Login Name>, and <Your Password> with the dial number, username and password from your ISP. To disconnect, use Ctrl+C to terminate the wvdial. By default, wvdial will copy DNS address from ISP to /etc/resolv.conf, but in Fedora 12 you have to copy it manually (seems to be a bug). thanks for this tuto it’s very informative for me i like it! i like your website it’s very helpfull for me thanks man! your tuto is good it help me thanks! Good tutorial. 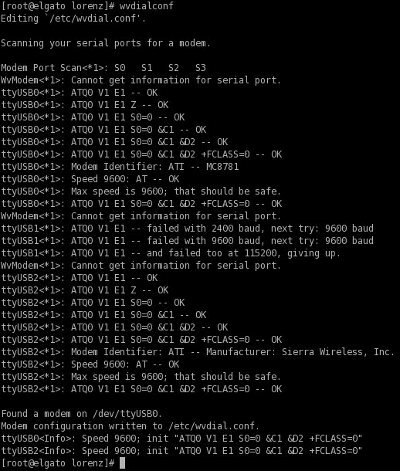 Thank’s for this article to connect 881 modem. Try this soon 😉 Thx again. Good blog ! Merci cool l’article je met en favoris! Nice information, will try it on my computer. Keep up the good information. Thankz . . . !! Good tuto 😉 Long time i don’t use modem and i think it’s time to test again ^^ Good week end !